Temple church in Bristol is a ruined church in Radcliff. 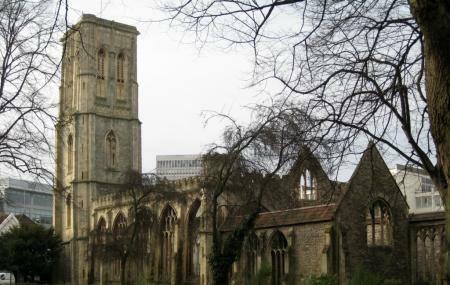 The leaning tower and the medieval church survived the bombings of the Second World War. The place has become a national heritage point for Bristol and hence a must go attraction for tourists in the city. Beauty, history and architecture that will blow you away are what the city is all about. The graveyard has been turned into a garden which is open to people. Timings can be known locally. Victoria Street (Stop tu) bus stop can be taken to reach the place. Trains from Bristol Temple Meads can be taken to reach there. How popular is Temple Church? People normally club together M Shed, Princes Wharf and Cabot Circus while planning their visit to Temple Church.